If that first wall seemingly went up quickly, a return visit to the site two days later is mind-blowing: All the first-floor exterior and interior walls are up, and large glulam beams have been lifted and set in place using MiTek saddles and hangers. Just as a chain is only as strong as its weakest link, so it is with a building’s interconnected framing components. 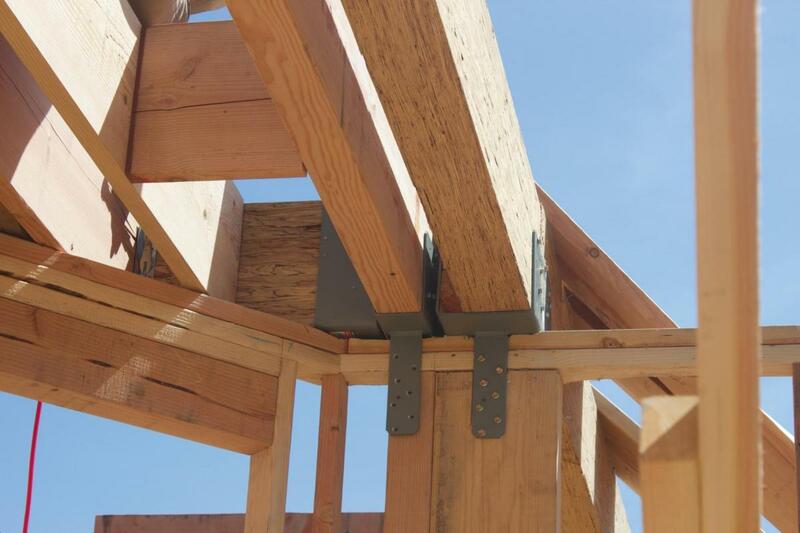 All those individual beams, floor joists, wall studs, and rafters really gain their strength only when joints are fastened together properly with sturdy, well-designed hardware. 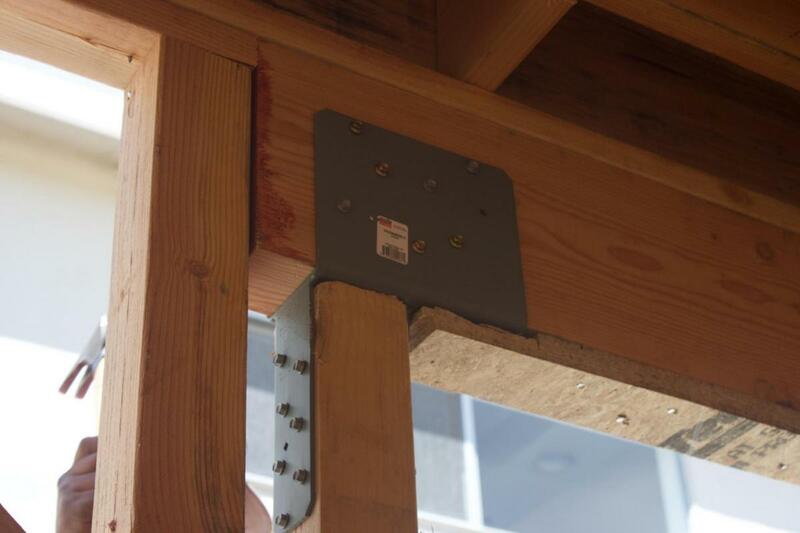 For Sheldon Street, the builder is going with MiTek brand hold-downs for wood-to-concrete connections, saddles, hangers, plated trusses, angles, straps, and all the necessary fasteners. Not only does MiTek feature hot-dip galvanized, stainless steel and Gold Coat corrosion-resistant finishes, but their extensive line offers complete flexibility to meet any on-site need with reliable, code-compliant products.